* Insures fresh clean water all day long, Water Bottle is dishwasher. * Package Content: 1 x Pet water Bottle, 1xpet Feeder, 1xpet bowl, 1 elevator bar. 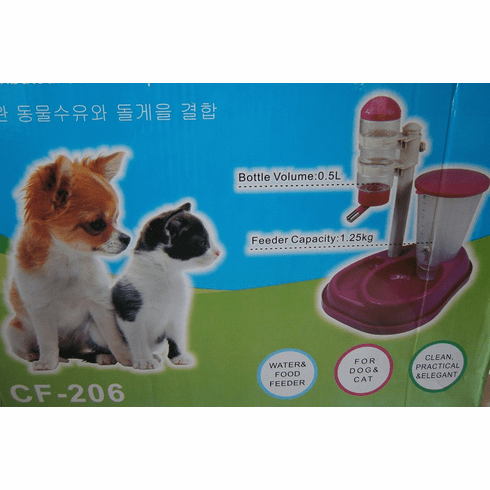 * Come in 0.5L water bottle volume, 1.25kg food feeder capacity. Pet Water Feeder perfect for puppy dog, cat, gerbils, mice, rats, hamsters, etc.Comes with cage-locking clip, easy to install.This is a small Water Feeder not ideal for larger pets.